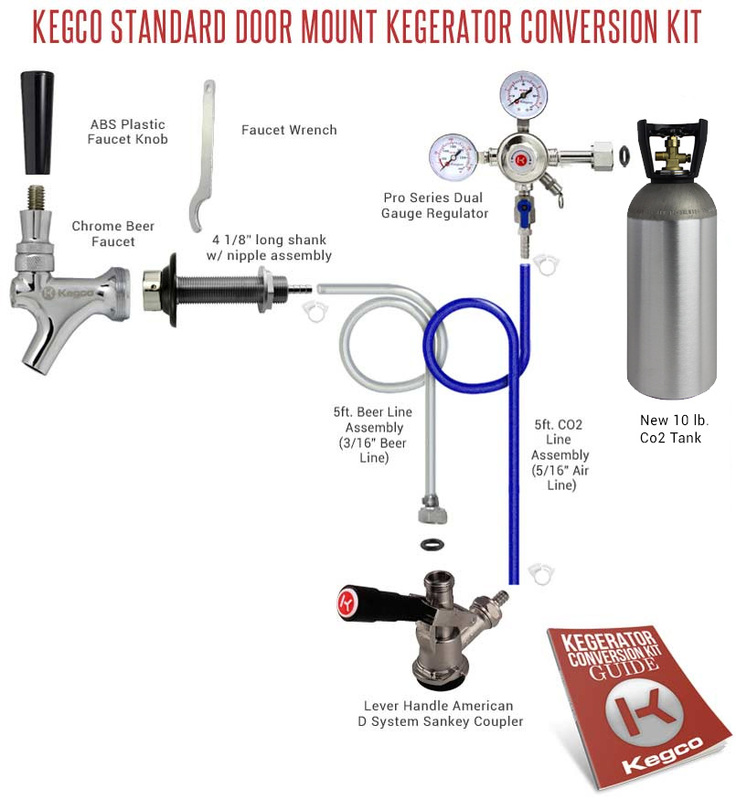 Kegco's Standard Kegerator Conversion Kit provides do-it-yourself beer lovers with all the tools they'll need to turn a compact refrigerator or freezer into a high-quality keg beer dispenser. It features a commercial-grade double gauge regulator that allows you to monitor both the CO2 pressure in your keg and the CO2 volume left in your tank, as well as a lever handle keg coupler that has been designed to be more durable and long-lasting than wing handle couplers. It also includes a lightweight 5 lb. CO2 tank made of high strength aluminum alloy. With detailed instructions included in every kit and helpful product specialists on hand at 1-800-710-9939 to answer all of your questions, Kegco is with you every step of the way!